These spicy chicken peanut wraps are packed full of flavour and nutrients. 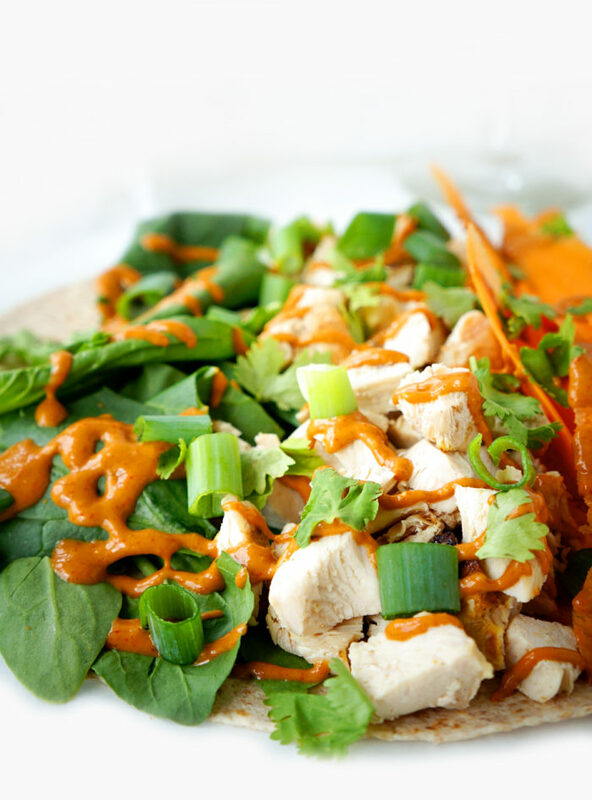 The spicy peanut sauce is addictive and will definitely have you running back for more! 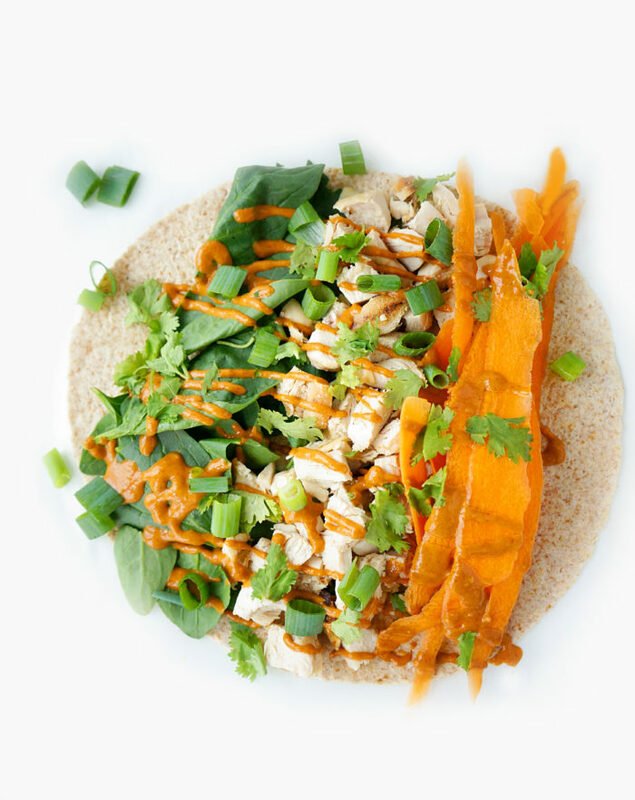 Overall, these wraps make the perfect filling and healthy lunch option! I love celebrations and special events. It just breaks up the routine in life and gives me something to look forward to. May just happened to be THE month for celebrations and parties. Weekend one: a friend’s wedding. Weekend three: my birthday part one. Weekend four: my birthday celebration part two. Weekend five: My husband’s birthday and birthday celebration part three for me. Lots of good times this month. And not just because my birthday was celebrated three times. For my birthday celebration part two, it was a gorgeous day, so my husband and I decided to go out and have a picnic and then rent some double bikes. Which were awesome by the way. You should totally check them out if you get a chance. I always find picnics are kinda awkward. It’s always a big debate as to whether to pack a solid lunch or just gather a bunch of random odds and ends around the house to nibble on. I decided to go with option one. Pack a good solid lunch. If I have a choice between nibbles or something solid, I’ll always go with the more balanced and hearty meal. It just makes me feel more full and satisfied. Like meal time is complete. 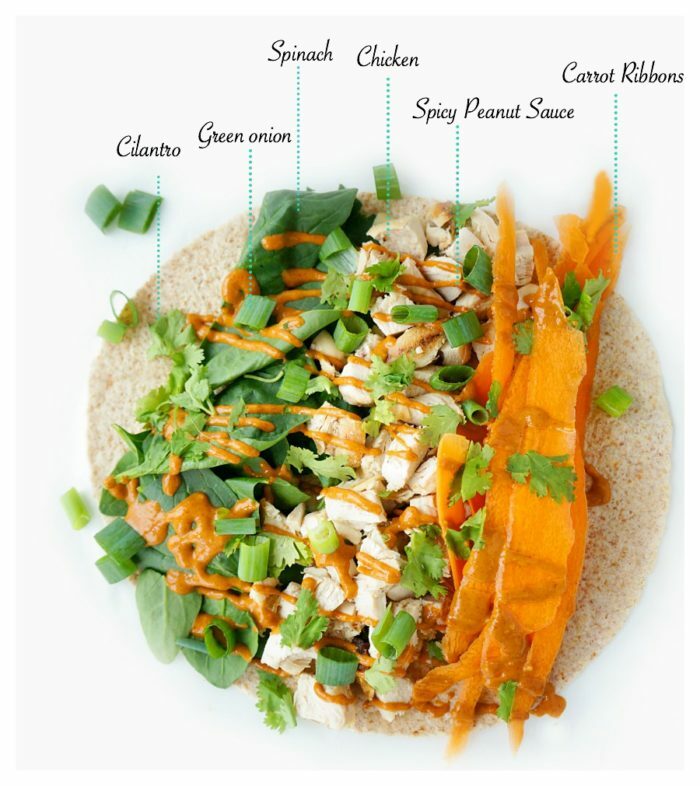 So in the morning, on a whim, I decided to quickly whip up these Spicy Peanut Chicken Wraps with an Asian flair. Still healthy, which we desperately needed, especially after the cake, ice cream sundaes, cupcakes and more cake. BUT tasty enough to feel like we were having a special birthday lunch. 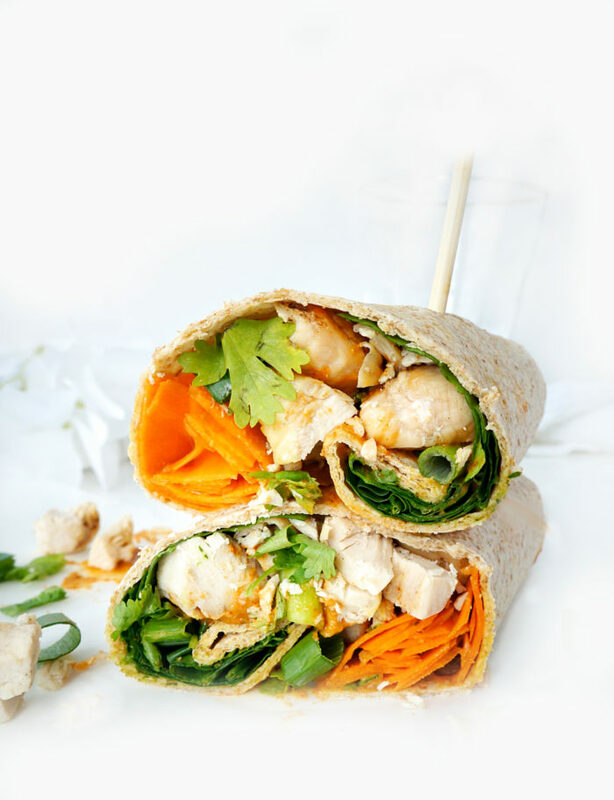 I LOVE these wraps because you can pack the chicken with the spicy peanut sauce in one container (or you could also put the sauce in a squeeze bottle to drizzle on for later), and then place the veggies and other toppings in another container and throw some wraps in a large ziploc bag. And then simply assemble when you’re ready to eat! The end result to this strategic move? Honestly, soggy wraps just aren’t that delicious. I also found that these spicy chicken peanut wraps were super filling. These are definitely not wimpy wraps. Perfectly balanced with fibre, protein and healthy fats to give you plenty of energy to get through your daily activities (like riding double bikes). I think my husband almost had too much energy after these wraps because he went a little crazy with the steering. 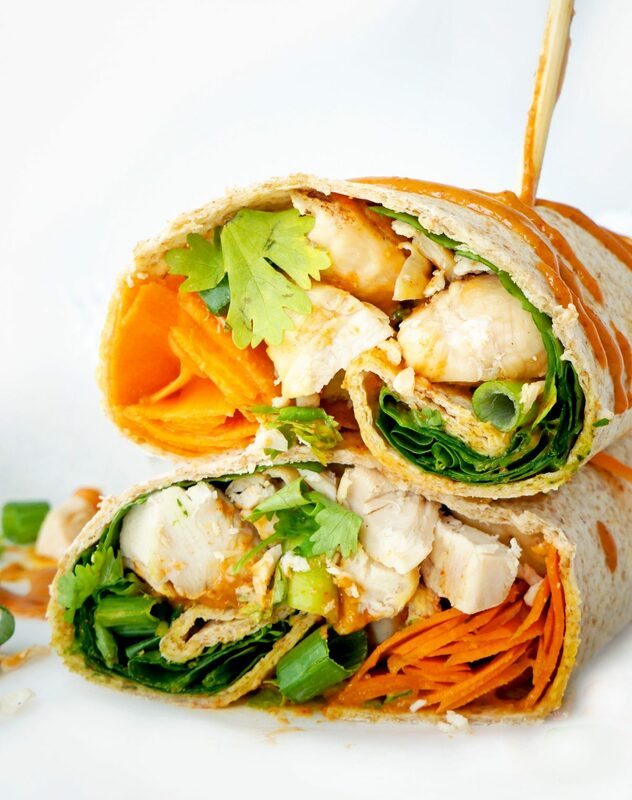 But let’s just focus on the goodness of these wraps. Not his almost-ran-us-off-the-road-into-the-bush steering…. We’ll save that for another time..
P.S. And did I mention that the spicy peanut sauce is to DIE for?! Combine the first twelve ingredients in a large mixing bowl and whisk until smooth. Add additional water to thin out the sauce if it’s too thick. Season with salt and pepper, to taste. Add the chicken to the bowl and toss until all of the chicken chunks are evenly coated with the sauce. Alternatively, you can drizzle the sauce over the wrap fillings once the wraps are assembled. Place each of the wraps on a flat surface. Divide the spinach between all of the wraps, covering evenly. Next lay out the carrot ribbons and chicken mixture in strips across the wrap. Evenly distribute the green onions and cilantro on top of the other fillings. Once everything is divided between the wraps, roll them up, as tightly as possible. Cut them in half on the diagonal, and skewer each half with a toothpick to prevent wraps from unraveling. Great!!! 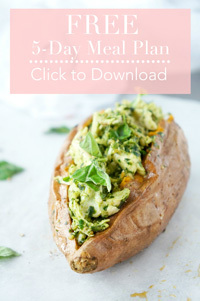 I love this recipe and thank you for providing this awesome recipe. I will try this recipe on this sunday. Thanks!!! I made these the other day and they are amazing! The peanut sauce is to die for! Even my firefighter husband approves haha thank you for the recipe! Thanks so much Megan! So glad you and your husband enjoyed the recipe! And I LOVE that peanut sauce too! !